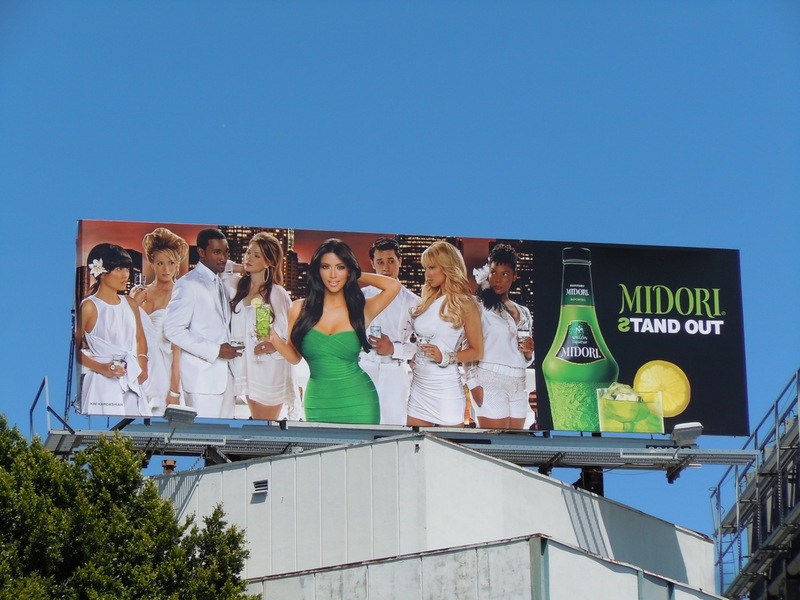 Those pesky Kardashians get everywhere, even on billboard ads. In the immortal words of Kermit the Frog, 'It's not easy being green'. 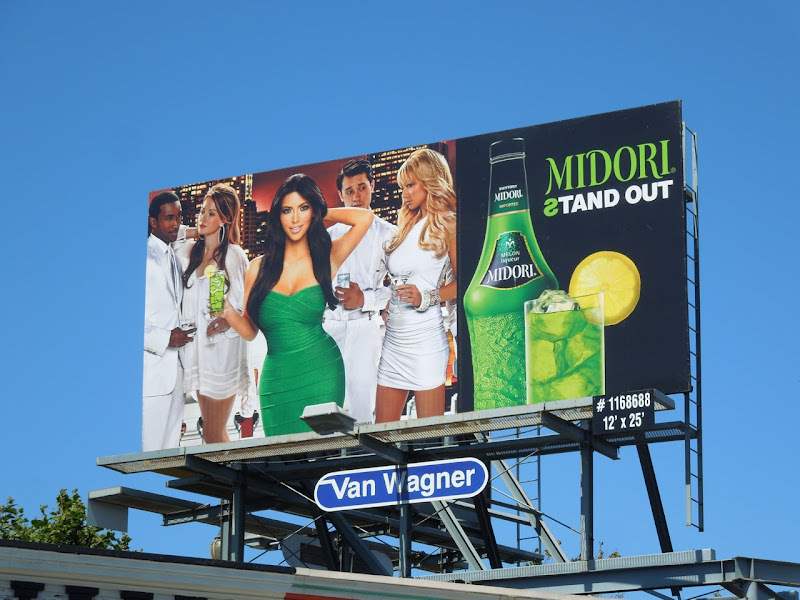 However it does help you to stand out from the crowd, especially if you're the curvy Kim Kardashian in an advert for Midori melon liqueur. 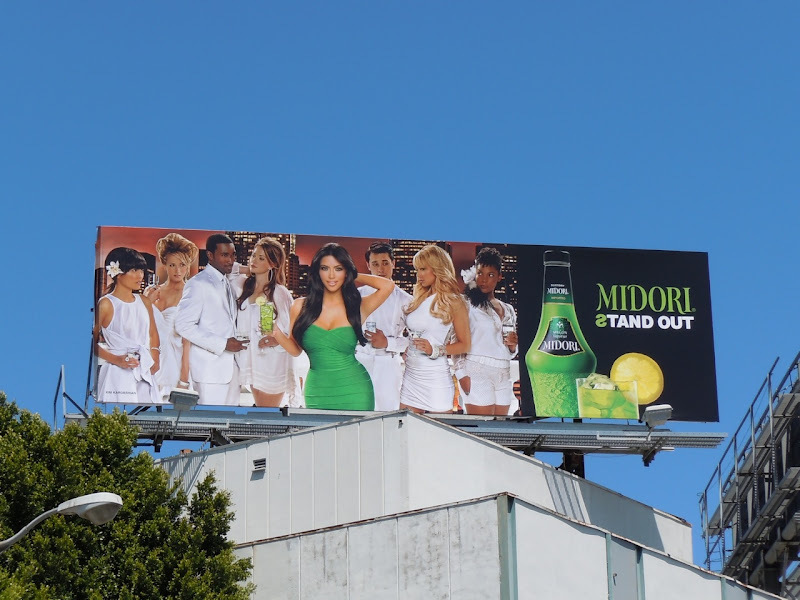 This fresh and fruity billboard was photographed along Beverly Boulevard on April 25, 2011. 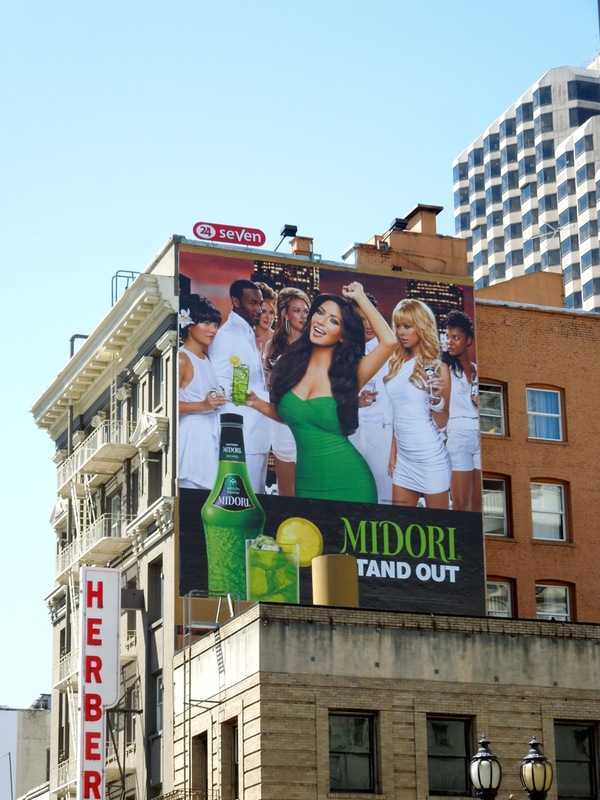 UPDATED: Here's two more Midori billboards snapped along Powell Street at O'Farrell Street and in the Castro in San Francisco on July 30, 2012.
Who is the knock-out blond on the right? !